With two locations, Starving Artist bases their menu around waffles. I have been to both locations (Lansdowne Ave. and St.Clair), but I prefer the St. Clair location and the small changes to the menu. The space is newer, fresher and more open. The partial brick walls, couch area at the front, and tall windows make the space feel bright and cozy. The scent of warm, fresh waffles is prevalent as soon as you step inside. Just that is enough motivation to bare the usually long wait for a table (on weekends). The menu is centred around waffles, serving sweet and savoury options either on, in, or between a waffle. Vegan, gluten-free, and potato waffles are also offered. I love sweet foods, but was in the mood for something savoury as well, so my boyfriend and I shared two dishes. New to this location only is the Brunchwich, which is a fried egg, choice of turkey, ham or bacon (we chose turkey), American cheese, and secret sauce, between two mini waffles. I found the size to be a little small, especially for sharing. I did however really enjoy the combination of turkey, egg, and cheese. As for the sweet option, I decided to make my own waffles. 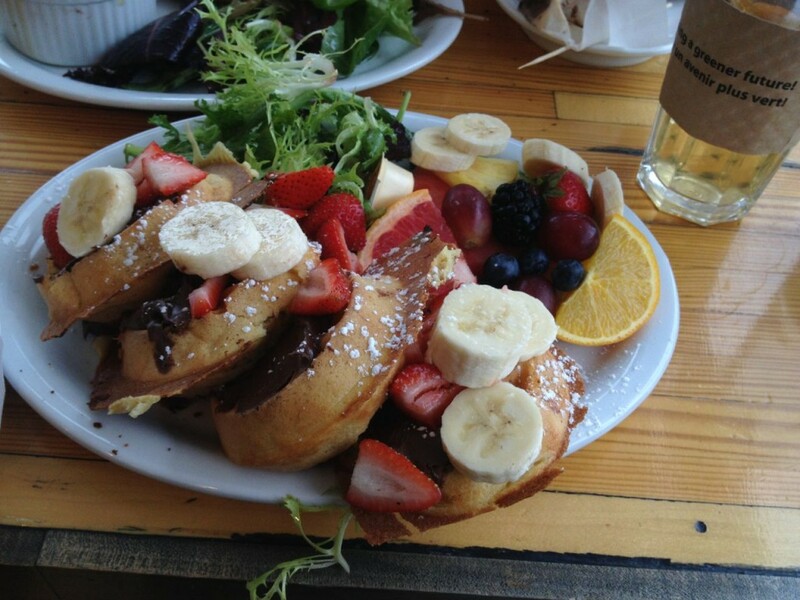 Three mini waffles were topped with Nutella, bananas and strawberries. Everything was delicious, but I don’t really love the idea of such small waffles. I also don’t think that these waffles are anything special or out of the ordinary. They are good, but not outstanding. Not to be cheap, but I also found it to be a little pricey. Each topping for the make your own waffle is $2, which is a little steep. I was however impressed with the fresh and plentiful side of fruit. The service was a little bit slow, even being later in the day, after the brunch rush. Although, it’s difficult not to enjoy something smothered in Nutella 😉 . 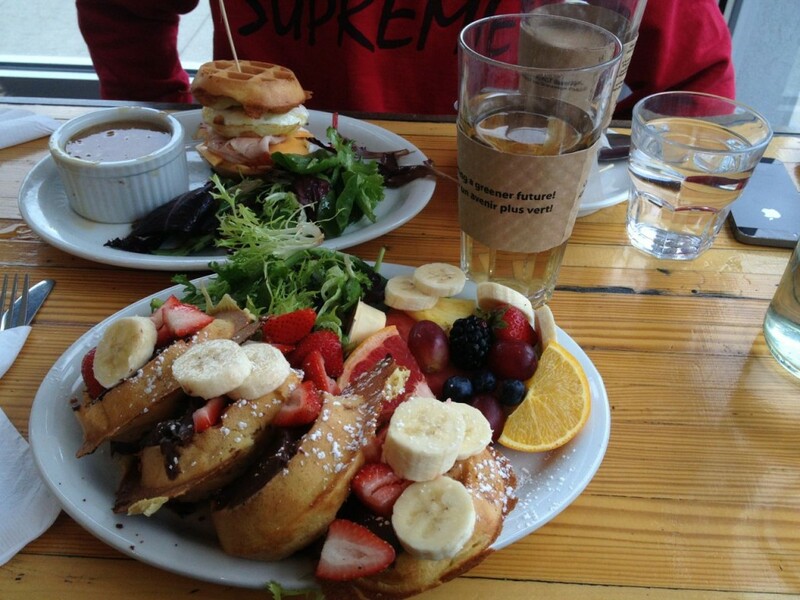 I still enjoyed my brunch, but wasn’t exactly overwhelmed with excitement.